21-25 May 2018 the Nordic Clean Energy Week was held in Malmö and Copenhagen. The week was organized by Sweden and Denmark when the Nordic countries and the European Union were hosting three ministerial meetings in the energy field: Mission Innovation 3, Clean Energy Ministerial 9 and the Nordic Energy Ministerial Meeting. During the Nordic Clean Energy Week, GREAT teamed up with the INTERREG Baltic Sea Region project Scandria2Act to promote and discuss green vehicles. This resulted in three different activities: a green mobility arena, an electric car shuttle service and a clean vehicles exhibition. 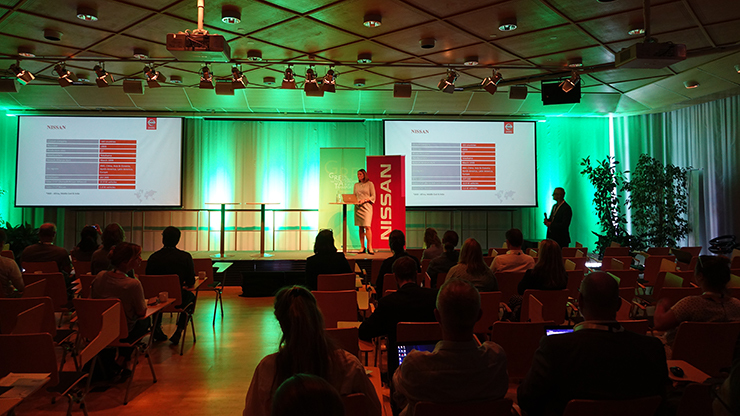 The arena was arranged at Malmö Börshus on 23 May and gathered the leading stakeholders on electro-mobility, charging and refuelling infrastructure, clean fuels and mobility as a service to discuss how national, regional and city policies can accelerate the transition to green mobility. GREAT hosted a session together with Nissan titled “Developing the battery electric car market” highlighting both new EV technology and charging infrastructure. GREAT was also involved in the session called “Accelerating the deployment of clean fuels”. Read the full program for the arena. A description of the “Accelerating the deployment of clean fuels” session as well as interviews with the speakers can be found on the Skåne Association of Local Authorities hompage. 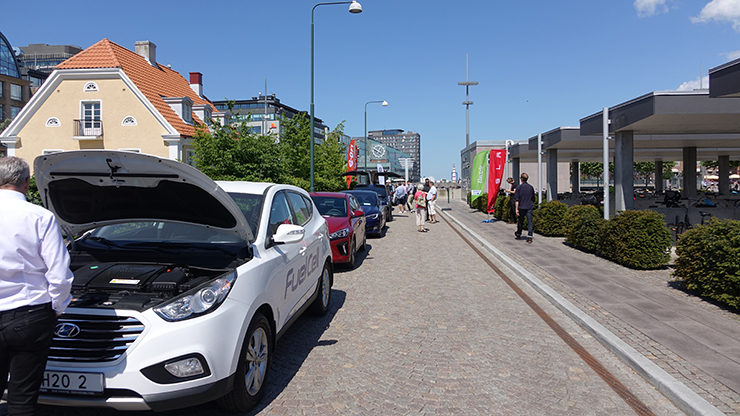 In addition to the seminars and panel discussions in the Green Mobility Arena, an exhibition of the latest electric, biogas and fuel cells vehicles was on display at the nearby square Anna Lindhs plats. During the days the event was focused on Malmö 22-23 May, an electric car shuttle service was available to all conference participants. 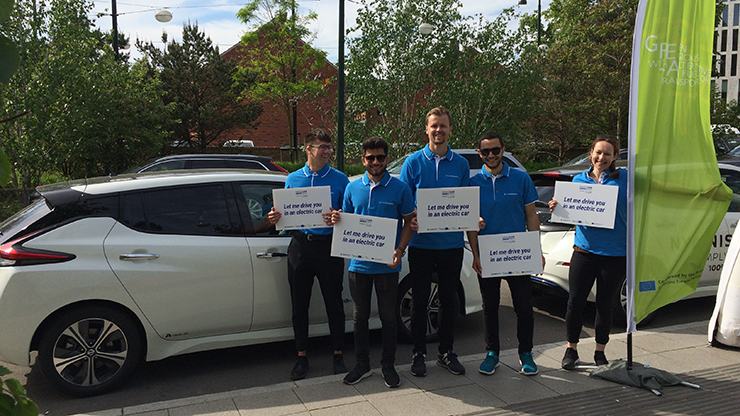 Some 100 participants took the chance and get a ride to their hotel, other conference venues, the train station or the airport in the brand new Nissan Leaf.